It is not a perfect picture, but a picture for discussion. the selfie stick. really? i remember exactly 7 months ago i received a selfie stick from one of my friends in singapore. i don’t know why but every tourist in asia or every asian tourist seems to have one. then it was my turn. it is actually quite annoying walking around at the eiffel tower and you had to watch you head because people where standing with the selfie stick like it is nothing. I mean come on people – you are not playing baseball and my head is definitely not the ball. please look around you when you are trying to find the perfect angle. The selfie stick is stupid and smart. maybe it all starts with the selfie. since when has it become legit to take a selfie in public – maybe since snapchat came along? 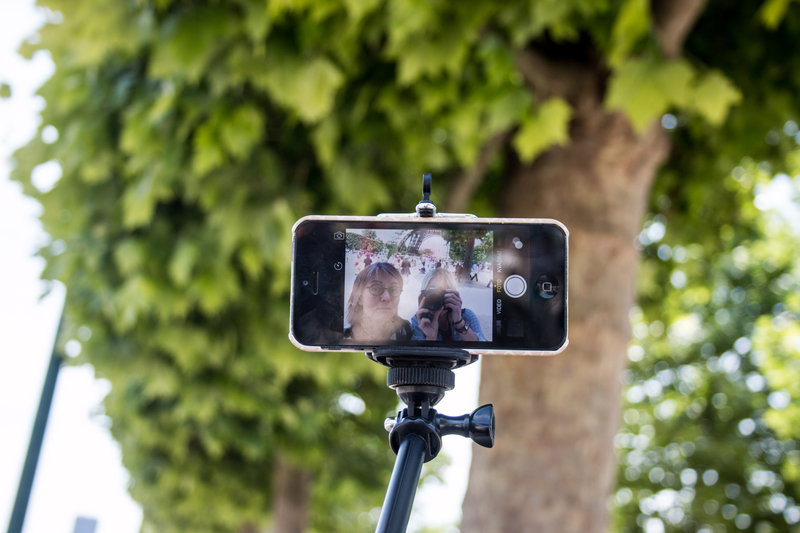 and now the selfie stick is the perfect accessory to show the world that you where actually at the eiffel tower in paris, saw the lions in kenya or stood at the highest rooftop in singapore. Why can’t we just ask a stranger to take the damn picture if it is so important? I not the one to speak cause i have a selfie stick and it is too much and so fun. since i travel alone very often, it is perfect for showing that i actually was there and didn’t just google a picture of the pyramides in my livingroom, no i was there, cause i am in the picture. funny enough i don’t use the selfie stick when i am alone. it is awkward. the whole situation is just awkward. there is no conclusion to this “discussion” it is just some thoughts.